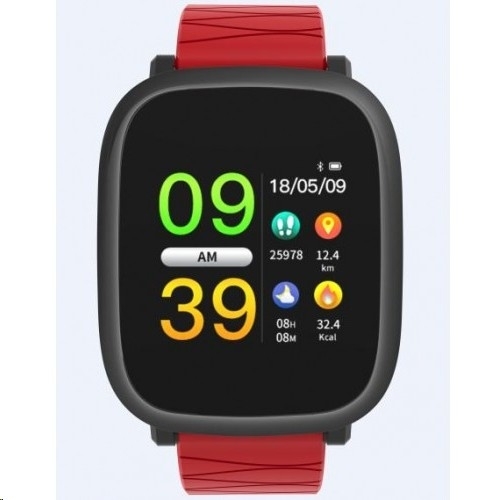 Features: - Waterproof IP67 - Heart Rate & Blood Pressure Monitoring - Multi-sports mode - Calorie, Distance & Sleep Monitoring & Recording. - Incoming Call, Message, WeChat, QQ Reminder - Sedentary & Task Reminder. - Alarm Reminder - Shake Phone to take Picture - Find the Phone - Raise hand to brighten - Remote Control of Music, Photographing and Video Recording. 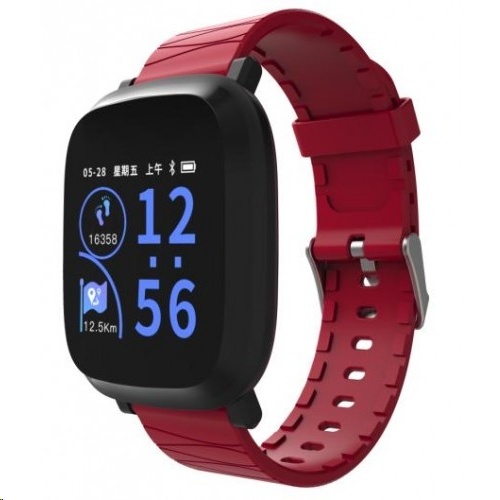 - To Locate Your Smart Phone in Couple Seconds Specification: 1.3 inch TFT Full Color IPS Display Bluetooth 4.0 Support IOS 8.5 & Android 4.4 or above Using Time: 10 Days Standby Time: 60 Days Watch Size: 258 x 34.7 x 11.3 mm Weight of Watch: 33 grams Colors of Watch: Black Color of Strap: Black, Blue, Red & Purple Material of Watch - Body & Bottom Shell ABS + PC, Top Cover - Tempered Glass Material of Strap: TPU.